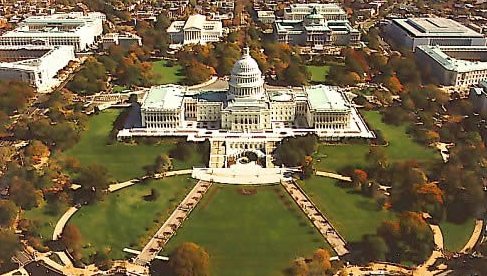 Is Selling IT Solutions to the Private Sector an Up-(Capitol)-Hill Battle? Breaking into any new industry can be challenging, but what about the U.S. public sector? Avnet provides industry insight that can help resellers overcomes barriers to entry. If you’re looking to open the door to new business opportunities in a lucrative market, consider the United States public sector as a strong option. As new technology and market demands drive action from federal, state, local agencies and education organizations, IT spending continues to increase year after year. While entering government market can help resellers gain a competitive edge, the industry itself can be a challenge to enter: It can be difficult to identify and understand market drivers, plus certain preferred procurement methods can delay or stop any company from advancing in the market. Here are some things you should consider if you are looking to sell IT solutions to the private sector. Recognize these top market drivers before identifying and bidding on business. Like other industries, the U.S. public sector is, in general, struggling with data availability, siloed systems and inefficient disaster recovery. Many agencies are seeking big data and analytics solutions that can manage and govern information effectively and easily. The public sector is also constantly seeking stronger IT security to combat ever-evolving cyber threats. Government agencies and educational institutions house extremely sensitive information and need to alleviate security risks and concerns with sophisticated IT solutions. As the public becomes more tech-savvy, the industry must respond and deliver faster and more mobile access to services. Mobility and cloud computing solutions can provide an answer while also helping agencies cut costs and do more with less. Before you can bid … Here’s what you need to know about a GSA Schedule contract. Once you understand the market drivers, you can start bidding on government contracts. If you are on your own, however, it can be tedious and slow and may take several years to gain traction. That’s because agencies have a preferred method of procurement by using vendors with a GSA Schedule contract. A GSA Schedule contract is a master contract held and negotiated with the U.S. General Services Administration (GSA). It is an invaluable tool used to win business in the federal, state and local government and education markets. The process to acquire and maintain this contract can be costly and time-consuming, but there’s another way. Navigate the market and achieve profitability faster with an IT solutions partner. Resellers and suppliers have the option to be added on to an IT solutions provider’s GSA contract. This can open the door to the public sector market with the opportunity to sell products and services directly to government agencies. For example, Avnet Government Solutions (AGS) currently holds a GSA IT70 Schedule contract. By becoming a part of our contract, other companies can not only bid on and win government business faster, but they can also sell their own products and services as well as Avnet’s–including IP. It can save time with a shortened sales cycle and money because now the company doesn’t have to pay to maintain its own contract. Contact Avnet to inquire about a GSA Schedule contract or to discuss more opportunities in this lucrative industry. We have the industry experience and knowledge to help you understand the market and to identify and close deals faster. Read more about the public sector on Avnet Advantage. Milo Speranzo serves as the Director of Strategy and Compliance for Avnet Government Solutions. In this role, Milo is responsible for driving vision, strategy, revenue and profitability, as well as for ensuring the compliance of the Avnet Public sector business.